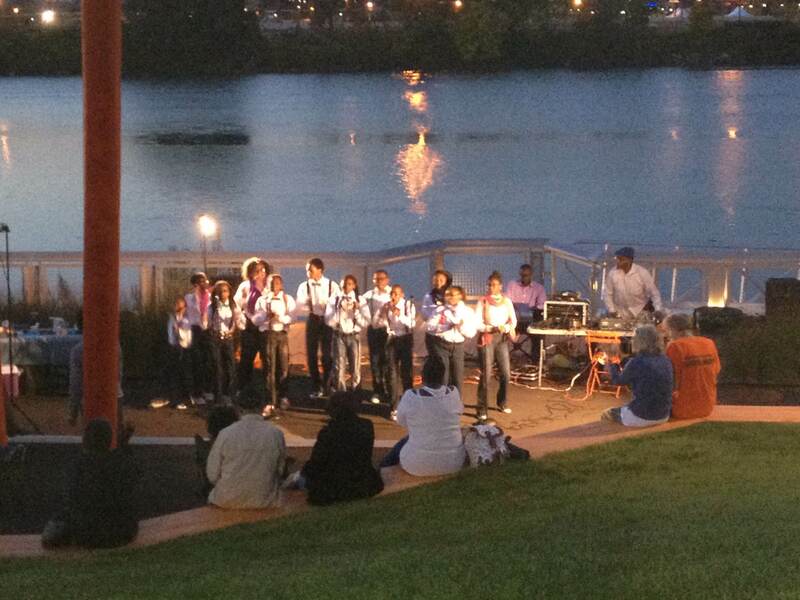 On September 13, 20, and 27, Newark Riverfront Revival organized a concert series featuring R&B, gospel, and house. 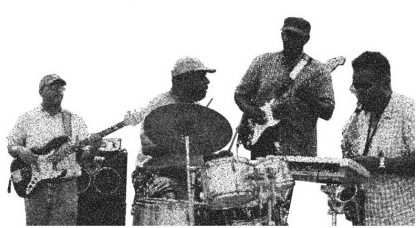 The September 13 jazz R&B show featured the Newark-based Melectrix band. The September 20 featured the Symphony Hall Special Ensemble. 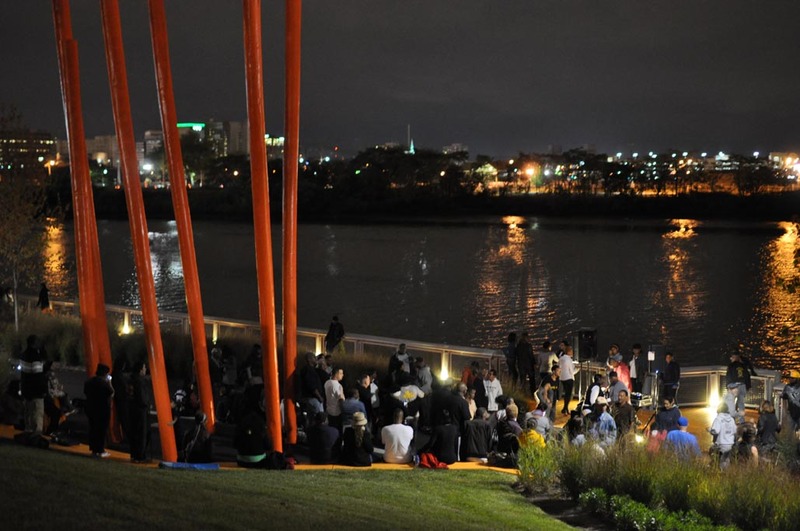 The final September 27 concert introduced DJ Omar Abdullah a lifetime West Ward resident to the riverfront. 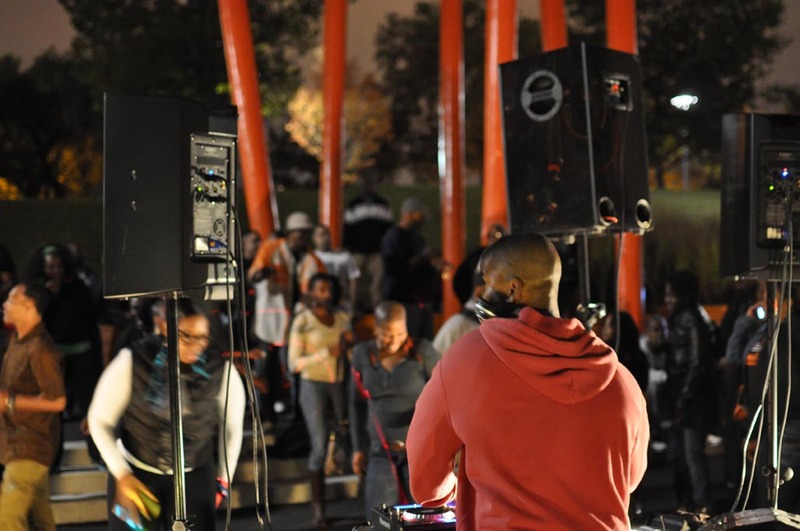 ABOVE LEFT Music fans brave the chill for the sounds of the Melectrix. ABOVE RIGHT Symphony Hall Special Ensemble belts it out. 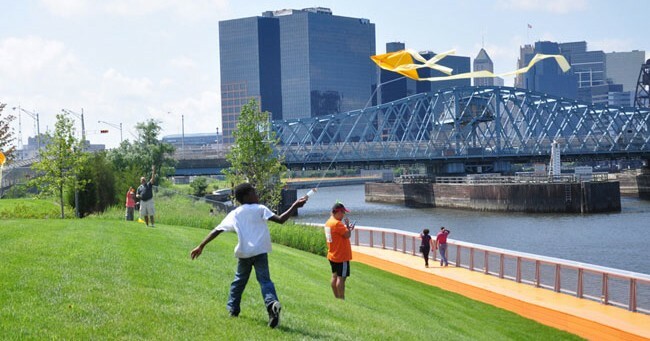 This entry was posted in Public Programs on October 2, 2013 by riverfrontcoordinator.